Since its beginning, Atmosphere has experienced a significant growth rate and expects this rate to increase substantially as we expand into new markets. 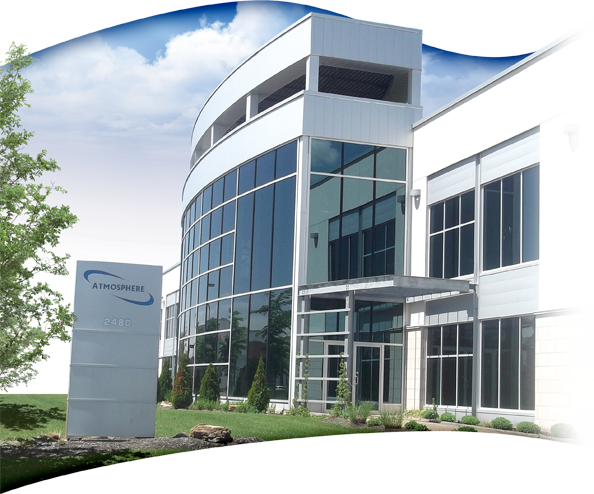 When Atmosphere first open its’ doors in1998, the head office was based in a 2 000 s.f. warehouse in montreal. As business grew, we moved to a 14 000 s.f. warehouse and since the beginning of 2008 Atmosphere has built its’ own 46 000 s.f. green building warehouse and head office in Terrebonne, Quebec. This ecological building contains many environmentally friendly features including one of the largest vegetative green roof in Canada. In the years ahead, Atmosphere will continue its focus of manufacturing more and more products for you, our customers. We promise you the highest possible quality at competitive pricing with ever improving service levels. As we reflect upon our past, we offer our thanks to you, our customers, for allowing us to serve you. We are also grateful to our Atmosphere team who is committed to our growth, to the production of quality products, and to the servicing of our customers. As the ventilation market expands and new technologies emerge, our Research and Development Department will continue to develop and improve its product lines with the same high-level attention to detail, just as we have in the past.